Today I went on a mission after going to Canada Place for my passport and that was to find Vegemite and Marmite. First stop of the afternoon was China. Well okay it was only China Town but still, A store called Lucky 97. Not so Lucky if i may add because the only spread that I did find was Coconut Spread. Not quite what I wanted. Next stop of the afternoon was a little detour around Edmonton, Now i did not have TomTom with me and shockingly enough I did okay without him but I did miss him telling me where to go and which way to turn. Driving under the Legislature - always nice to see our capital prime ministers home on a nice sunny friday afternoon. 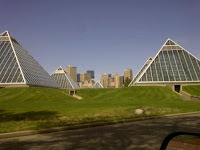 Was not sure where i was going until i saw the sign for Muttart Conservatory, then I directed myself there. 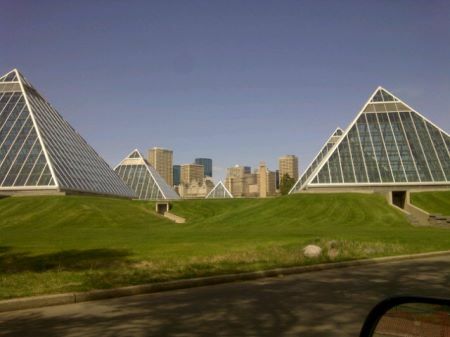 The pyramid at the Lourve in Paris, France was better but this was the closest thing to it in Edmonton So I accepted it. Never been to it so it was nice to drive by it up close, instead of seeing it from a far. Heading west, realizing i was going a little too far north for West Edmonton Mall, turned around and surprisingly enough again without TomTom i found my way. I normally hate driving in Edmonton because I never know where I am going, hint why I need my TomTom all the time but I did not bad. 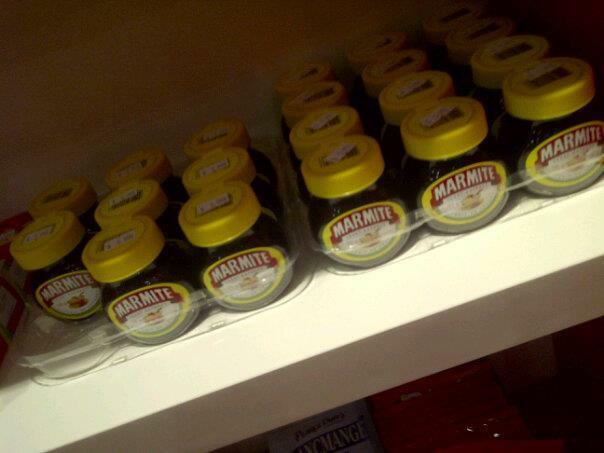 Thanks to @Official_WEM for directing me to the right place for Marmite. British Import Shop - Q2001 inside West Edmonton Mall towards The Bay. 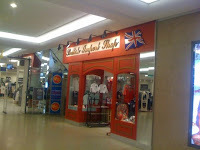 Cute little store, all things British obviously. But I prefer London, England. Boy I am spoiled! I prefer this and that - Oh Contiki you have spoiled me. Giving the Travel Bug. Mission succeeded. Now to hunt down some Vegemite - and I will. Do not give up on me yet!